I never really wanted to read the hand of a crocodile... but the 'simianesque' structure is quite fascinating! Wow... quite fascinating to know that the front feet in crocodiles is not used while swimming (= locomotion), and that they are well 'designed' for digging. This reminds us of the fact that in humans & primates the hands have multiple purposes as well (and are not just used designed for locomotion like the feet). PS. 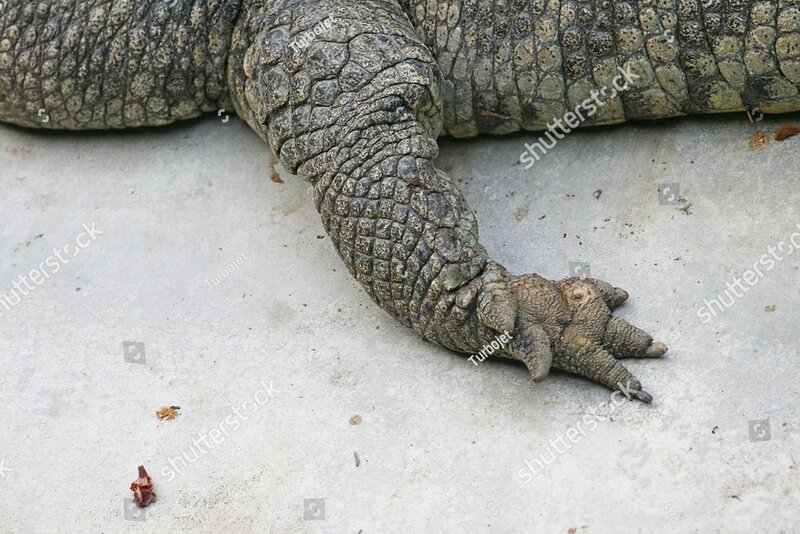 Also interesting to see that in a crocodile the structure of the skin at the distal parts of the 3rd and 4th digit looks similar to the dermatoglyphics seen in the primate- and human hand.